Home to beautiful skylines, a multitude of tourist attractions and centuries’ old historical sites, Hong Kong already has much to offer the Shenzhen, Chinese and International Communities for fun times. There is a wonder and amazement to this territory’s nature, however, which can be explored and enjoyed by all those whose curiosities are inspired by the lush, green and mountainous expanses. Shenzheners now have a group with which to enjoy hiking these mountain-forest outskirts of Hong Kong! Founded in 2017 by Vincent and Oswaldo, the Discovery group dedicates itself to immersing curious explorers into parts of Hong Kong previously unseen, and helps these visitors develop a love and wonder for nature, have fun, and share with others in community through hiking. While it is still young, Discovery Adventure Tours has proven itself to be very successful in these tasks. Its activities range from cliff-jumping, snorkeling, diving, surfing, hiking, and more! And, they have left several fun-lovers both satisfied and excited for future activities. Some of our fellow city-dwellers yearn for friendships after having just arrived from their home countries, and fresh air and exercise prove to be great aids in achieving friendship with others. Wang Zai is also happy to be in the group because he wanted to meet people in different industries from himself, as well as enjoy the sun and nature. Some people, previously not so interested in hiking, have now become hooked by its allure and fallen in love with its beauty. Echo is one of those captured individuals; she previously thought hiking was just a boring outdoor activity. Now, she has been swayed! She goes every month to see these views of the city from the top, and her beautiful photos even convince her friends to join her on later excursions. She thinks the trips are “totally worth it,” she likes to stay after the hike to swim at the beach, and keeps being surprised by Discovery’s events every time. Several individuals interviewed express similar sentiments to Carla and Echo, in which they feel happy to have a social outlet combined with both new and existing loves of hiking outdoors. Of course, there are these social and natural elements of the Discovery hikes. But, another very much appreciated factor in these trips is that….things are just taken care of. The logistics are planned out, meeting points are developed and people can follow plans laid out by the group’s creators. Vincent, one of these head-honchos who scopes out good-quality and safe routes, feels the trails the group goes to are particularly beautiful and gratifying for the hike-lover. He also makes sure to inform both oldies and newbies (author’s term) in advance of the different difficulty levels of these hikes to prevent either boredom or over-exertion, depending on the individual. Ivan, who heard about the hiking tours through Oswaldo, “was interested in going to a Hong Kong Beach to swim and live in a tent, dance and eat BBQ!” Sounds like a good kind of life, eh? He goes on to say,” Hiking makes you see beautiful scenery, helps you keep fit. I enjoy the trips very much, [and] feel attached to the people with whom we usually go.” Friendships, fitness and fun: Ivan knows where it’s at. Carla went on to share how she “really like[s] that [she] just has to be at the meeting point at a specific time with walking shoes and everything else is already organized and taken care of.” Liliia shares Carla’s sentiments since she feels, “as a foreigner, to go to Shenzhen or Hong Kong countryside is very challenging.” For her, Discovery is a really good way to learn about new places and still not get lost in the process. Getting lost sometimes is fun, but Liliia, we feel your pain. And now, happiness! Oswaldo, the marketing magician both behind and in front of the scenes, wanted to be able to bring foreign friends, Chinese friends and Hong Kong beauty together in a workable way. Both organizers create a streamlined experience for adventure-goers, and logistics are addressed and taken care of in advance. All of these perspectives leave you excited and tantalized, yes?! Well! Discovery Tours has something exciting for you in store!! We can’t just tell you about it without offering a change to experience it, right? 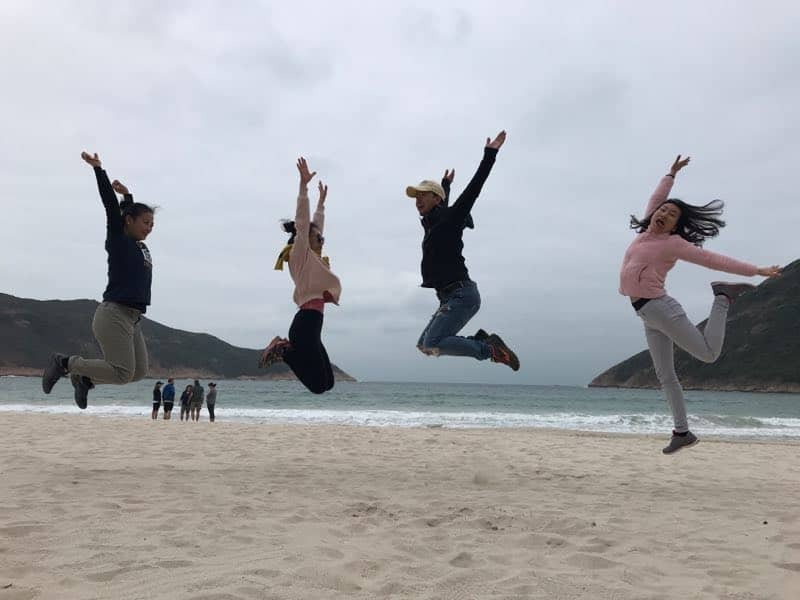 The group will be hosting yet another hiking trip this coming July 29th, where you can get your chance to meet new people, have fun, explore nature, and get in touch with Hong Kong’s natural beauty! Oswaldo, Vincent, and the group’s several members are excited to meet you and create some good times and good memories. 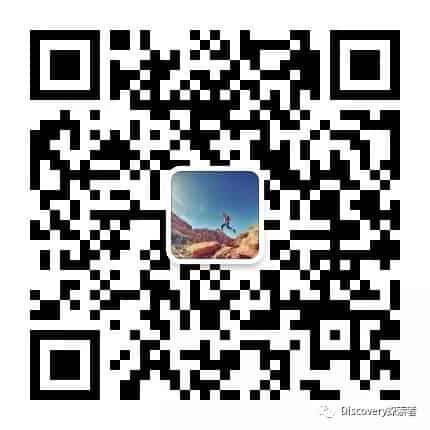 To get in the loop about future events, Discovery Group has its very own WeChat group, and their contact details is provided below. So! Join the group, have some fun in the sun, and LET’S. GO. HIKING!